Since joining the National Trust as members, we have been making more of an effort to visit new places. 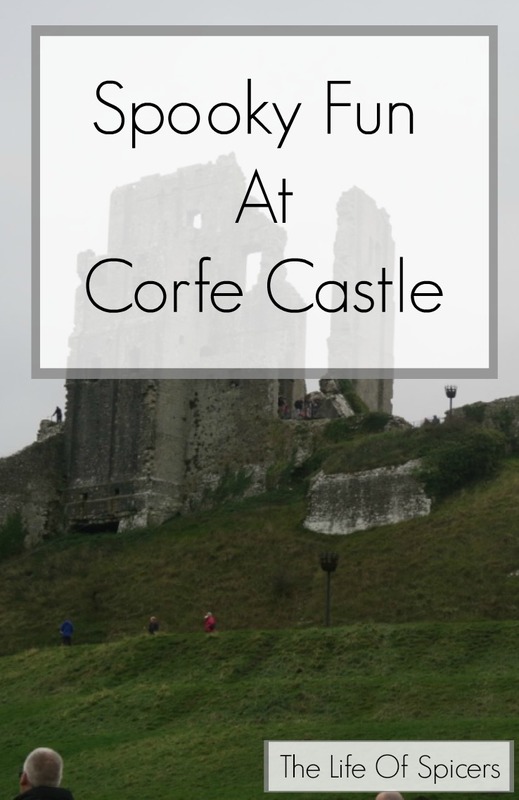 With Halloween on our doorstep, we decided to pop over to Corfe Castle to investigate. 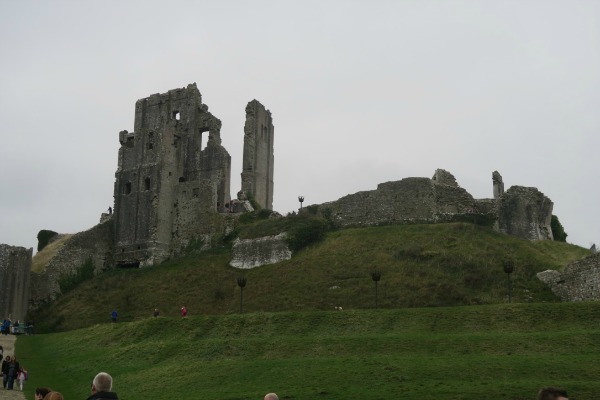 Corfe Castle is located in Dorset dating back to the 11th Century. There are only the ruins left now but plenty of space, nooks and crannies to explore. There are some breathtaking views to be seen from the top of the castle where you can see for miles. 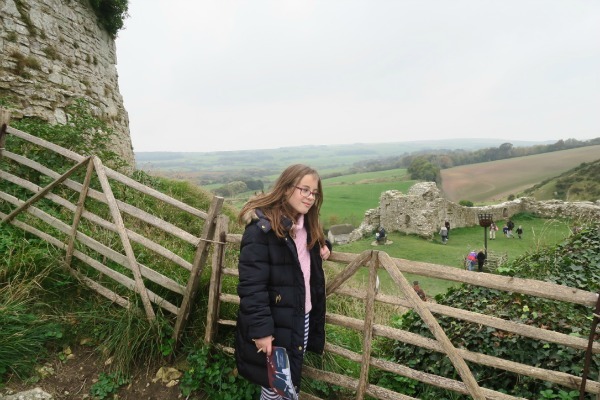 A bonus for us is that Corfe Castle is dog friendly, so we were able to take Lola with us. Dogs are welcome in all parts of Corfe castle on a short lead. We didn’t see too many other dogs around during our visit, but as there is a lot of space you never feel as though you are on top of each other. We had done some research before we visited today and noticed there were some activities in place for Halloween which has tied in perfectly with Half Term this week. There was a spooky quest for the children where they have to seek out the six shields. 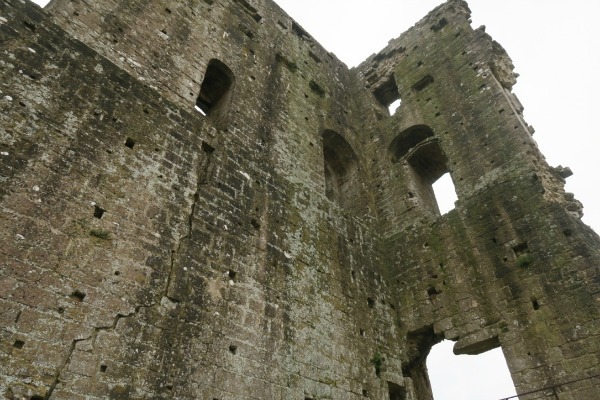 On each shield is a small history fact about Corfe Castle with a question. At the end of the quest the children receive a National Trust band. 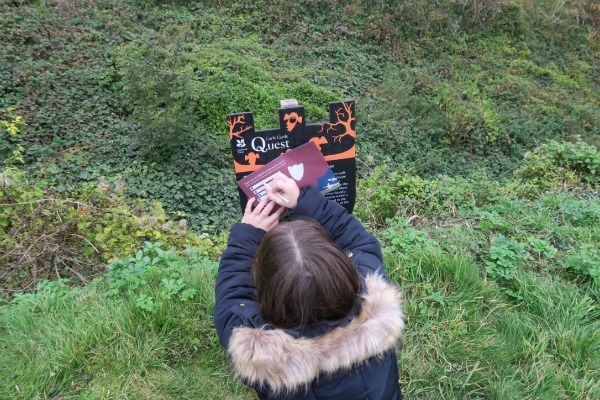 Miss A enjoys the historic side of the National trust properties and she always brings away some facts about what she has learnt. Also on offer today was a teddy bear zip wire. This was a fun zip wire set up at the top of the castle for teddies to zip down to the bottom. The National trust had thought of everything and had teddies on hand to lend out to any children who hadn’t brought their own. A simple clip was attached to the teddies and away they went when they were released at the top of the zip wire. The walk up and down each time to keep having a go would really amount to a lot of steps if you were tracking on an activity tracker. Thankfully we only did the zip wire once! We were also treated to Granny Cousins today who has been there all week. Telling spooky stories to the children, this completely exceed my expectations of what we were going to encounter. I imagined ten minutes or so on the lawn at the base of the castle, and this is what we got..
To begin with! The stories continued all over the castle as a group of people followed her about. She was hilarious and managed to really engage the children and adults alike. We were all starving as we had forgotten to pack a picnic, however Miss A insisted we follow Granny Cousins around until she had finished. Corfe Castle on a sunny day would provide some fantastic views. Even today on a cloudy day we were able to see for miles. We’ll definitely be back to explore some more in a different season. It is always great to make full use of membership! I love that they add the teddy zip wire adventure as it will be more fun for children.